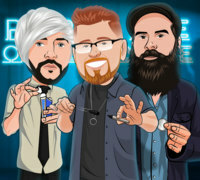 Branden Wolf, Dalton Wayne, and Nicholas Lawrence LIVE (Instant Download) Three talented magicians team up to share their fascinating thoughts and clever creations. SUPPORT LIVE MAGIC. DOWNLOAD THE FULL LECTURE TODAY.